I’m not sure if this necessarily qualifies as a career milestone for Grizzly Bear, since they’ve already been on a million TV shows. 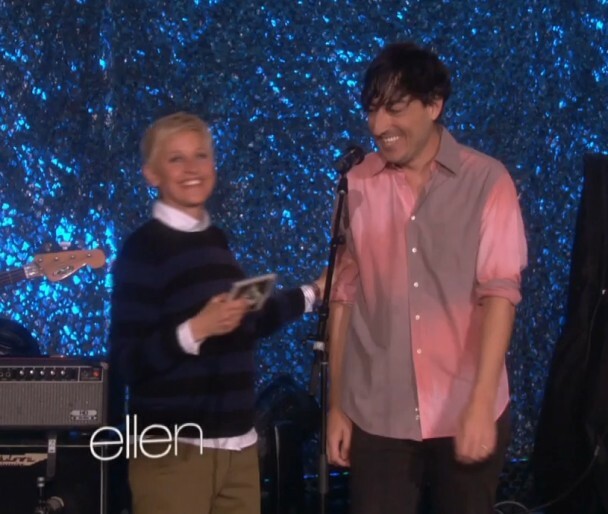 But maybe it’s an indicator of how nebulous and meaningless the entire idea of indie rock has become: Grizzly Bear playing their fractured, floating “Yet Again” on Ellen, as Ellen DeGeneres, who apparently loves the band, gives free copies of Shields to everyone in the studio audience. They sounded good, in any case, and you can watch the performance below.